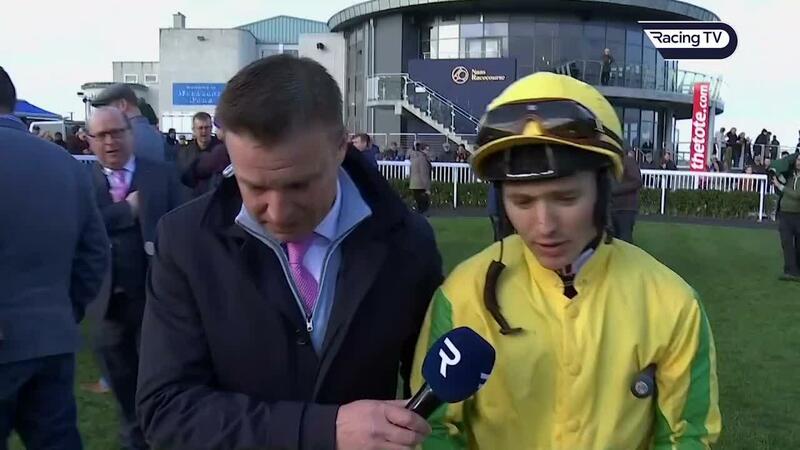 Watch how Karawaan bolted up in the Tote Irish Lincolnshire at Naas plus Kevin O'Ryan's interview with Colin Keane afterwards as well as reports on other races at the Irish venue on Sunday. Karawaan ran out a decisive winner of the Tote Irish Lincolnshire at Naas. 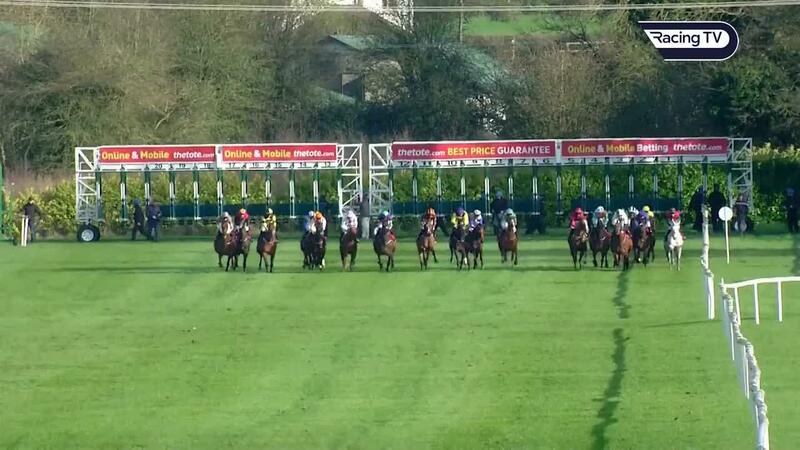 The 100,000 euro contest is the traditional feature on the first day of the Irish turf Flat season, and another fiercely competitive field of 20 runners went to post. The heavily backed 6-1 favourite Warnaq set out to make all the running and was still in the lead racing inside the final two furlongs. However, his effort then soon petered out, passed first by Trading Point before 9-1 shot Karawaan – making his first appearance for Ger Lyons, having previously been trained in Britain by Sir Michael Stoute – took the initiative. Despite having been off the track since last June, the five-year-old showed no signs of rustiness – galloping on strongly in the hands of former champion jockey Colin Keane to emerge victorious by two and three-quarter lengths. Trading Point (25-1) filled the runner-up spot, while Master Speaker (12-1) made late gains to beat Warnaq to third place. Shane Lyons, assistant to his brother, said: “He hasn’t missed a day since Gaelic Bloodstock purchased him. He’s done a lot of cantering to get a good base into him. “We weren’t sure how he’d cope with the ground – his action at home suggested he could handle it, although you’re never sure until you run them. “Colin said he got a great feel off him going down to the start, and he galloped through the ground. We always thought that he’d step up to a mile and a quarter – but there is no need to be stepping him up when he wins a handicap like that. “A lot of credit goes to David Spratt, and Gaelic Bloodstock who purchased him, and we’ll make a plan now. We’re only learning as much as the rest – but it’s a good way to learn. Still Standing claimed his fifth victory from just eight career starts with a comprehensive success in the Devoy Stakes at Naas. A field of eight runners went to post for the 10-furlong Listed contest, including Aidan O’Brien’s one-time Classic contender Amedeo Modigliani – who had been sidelined by injury since winning at the 2017 Galway Festival. 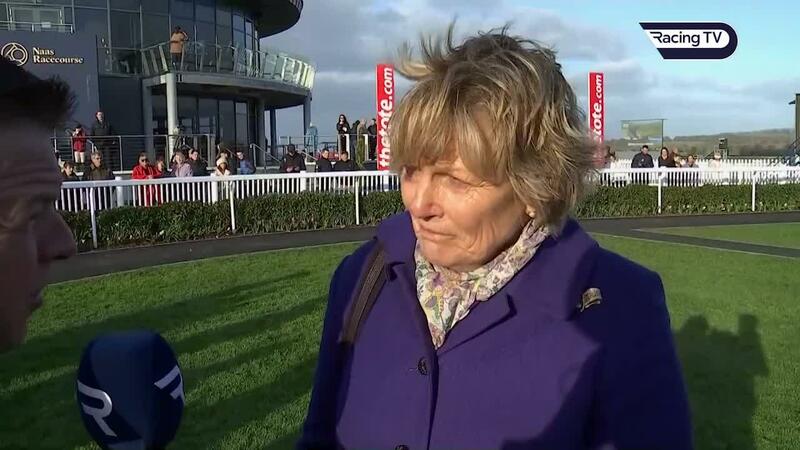 The Jessica Harrington-trained Still Standing rounded off his 2018 campaign with a handicap win at Fairyhouse and was the marginal favourite at 9-4 to make a winning return – with Amedeo Modigliani and Hazel Bay next in the betting, both at 11-4. Amedeo Modigliani travelled well for a long way, but the lack of a recent run told late on. Still Standing, on the other hand, always looked in control under Harrington’s newly-appointed stable jockey Shane Foley – and was good value for the winning margin of three and a half lengths. Hazel Bay beat Amedeo Modigliani to the runner-up spot. Harrington said: “He just loves that ground. He still won last year on ground he hated. He hasn’t really had that ground since he won here as a two-year-old. “He’s won a Listed race now, and he’ll come back here for the Alleged Stakes. Although out of luck with Amedeo Modigliani, O’Brien did get on the winner’s board on the opening day of the season – with his son and champion jockey Donnacha steering 8-1 shot Never No More to victory in the Naas Racecourse Business Club Madrid Handicap. Black Magic Woman loomed up travelling ominously well in the straight, but Never No More eventually wore her down and went on to score readily by three and three-quarter lengths. O’Brien senior said: “We weren’t sure whether to stick at six furlongs, but Donnacha felt he got the seven well. Red Epaulette made a winning debut in the first race of the new season – the Irish Stallion Farms EBF Maiden. A field of 11 unraced juveniles went to post for the five-furlong contest, and Red Epaulette was prominent in the market at 7-2. Michael O’Callaghan’s charge travelled strongly in the hands of stable jockey Leigh Roche, and impressively stretched three and three-quarter lengths clear of eventual runner-up Value Chain. O’Callaghan said: “He’s a nice two-year-old, and in the last month he just showed me to be one of the more mature two-year-olds at home. We have a nice bunch of them, and I’d say there is a massive amount of improvement to come from him.